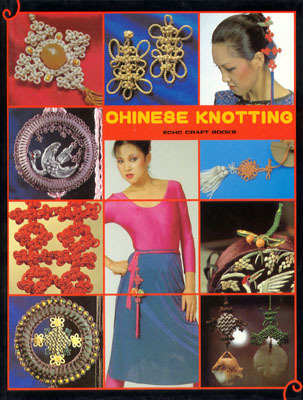 In print in one form or another pretty much continuously since 1981, this book is responsible for reviving the art of Chinese knotting and likely many cascade effects. The easiest way for me to enter Chinese text is by typing English text and getting something to translate it for me. Generally speaking this does 60% of the job. Then there are the characters that are more difficult to translate, so I need to enter them directly. For this task I like to write the characters into a system that does Chinese handwriting recognition. For this job I used the free iTranslate iPhone app and the nciku dictionary. I used the iTranslate app, mostly because I was out, but it had the added advantage of quickly swapping the Chinese and English back and forth from the translate/translated windows for refinement of the desired characters. Also, unlike the other translation apps on my phone, iTranslate allowed me to get the data out (via email in this case). Apparently iTranslate is "powered by Google" and indeed once I got home I also used Google Translate with largely the same results although there is no handwriting recognition involved there. 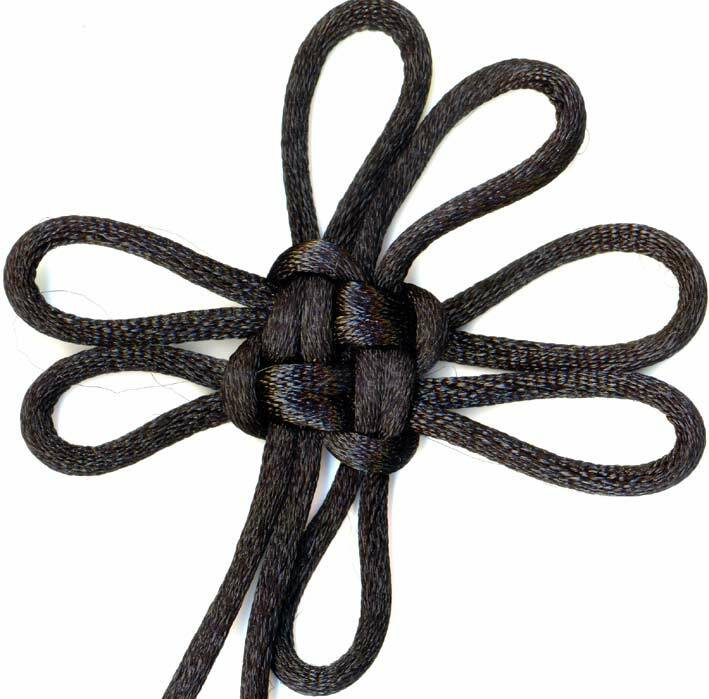 If you take your 4 sided good luck reverse corner crown variant and instead of crowning first in the counter clockwise direction (this one started with crowning in the clockwise direction) then flip it over, and crown the corner loops (clockwise in this case). 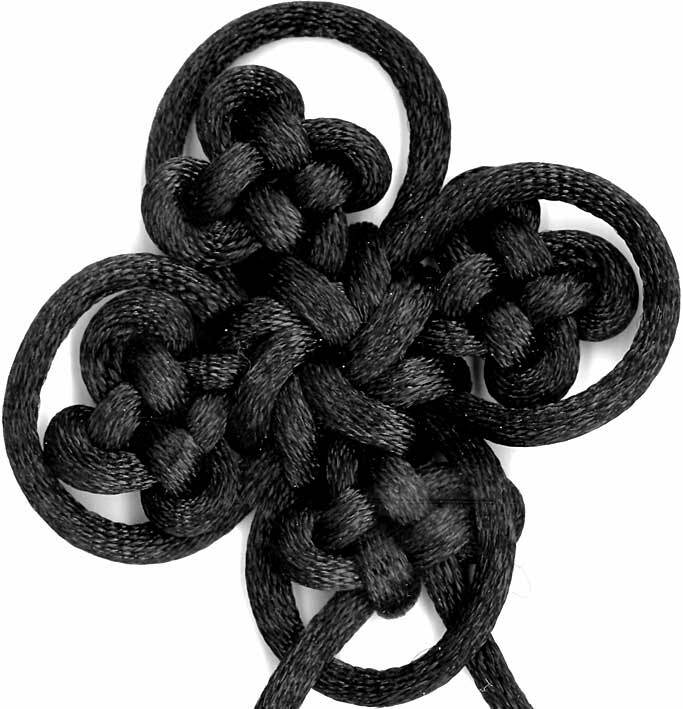 The result is symmetric with the front and back looking the same. Of course, substantially the same result can be obtained by crowning in the counter clockwise direction both times instead. 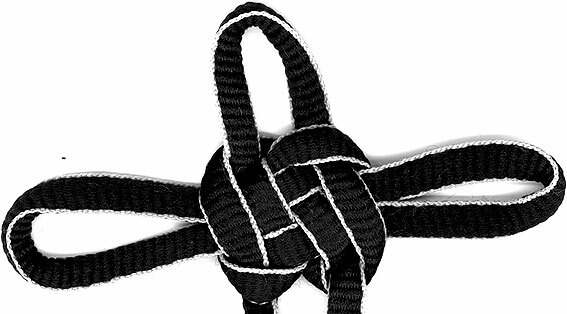 This is a variant, not in the book (and arrived at by accident), but I think worthy and aesthetically pleasing. 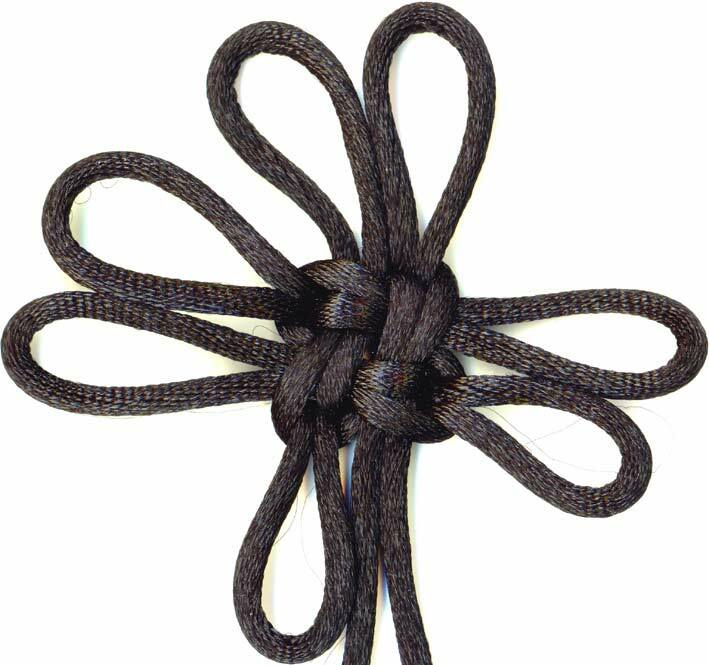 Take your standard first step for a good luck knot (counter clockwise in this case), flip it over, then crown the corner loops (clockwise in this case). 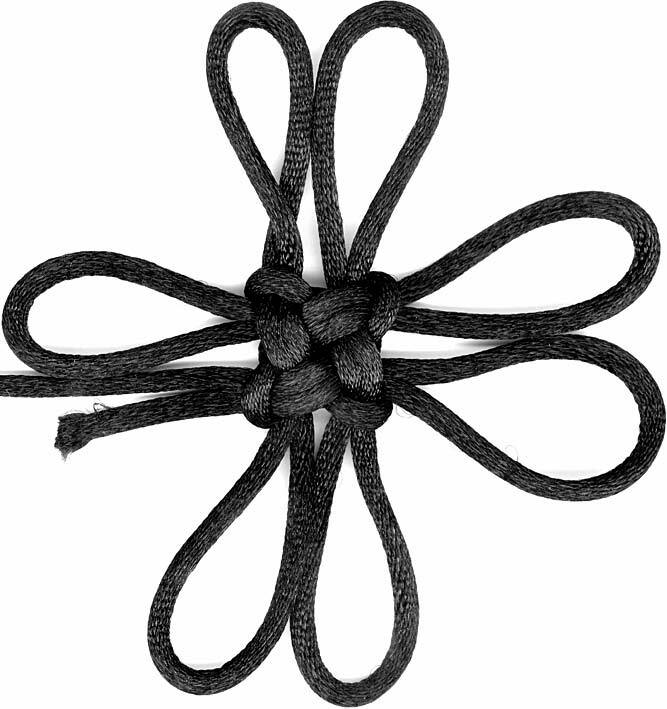 The result is symmetric with the front and back looking the same. 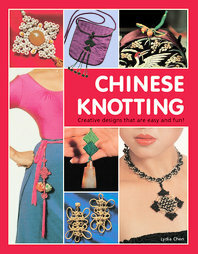 I still haven't found my copy of Lydia Chen's The Complete Book of Chinese Knotting (English version of Chinese Knotting 3 yet, but I got it out of the local library local library so I can give you the illuminating official English translation of the name (Type 5 Good Luck Knot with Small Outer Loops). I'll go back and add to the previous posts their appropriate versions as well. 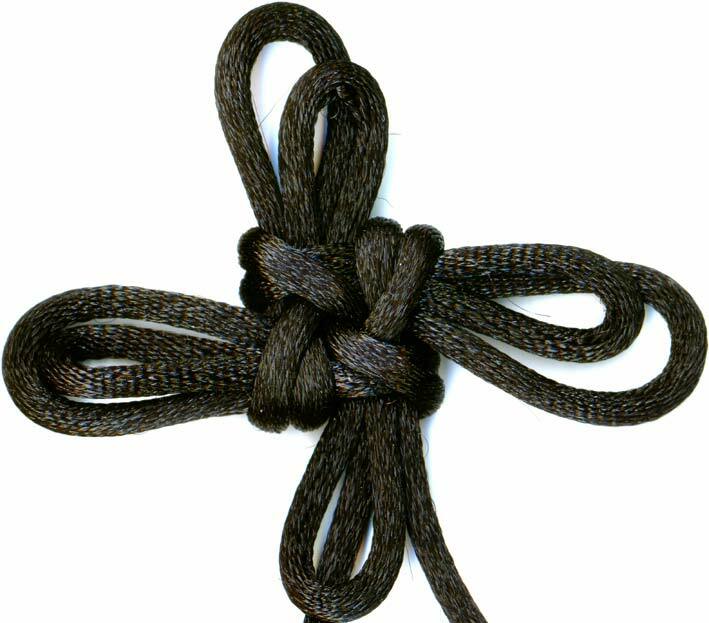 The 8th variation I'm posting about, Lydia's 6th variation (numbered 7, but the first one was a straightforward 6 sided good luck knot, not really an earth shattering variation). 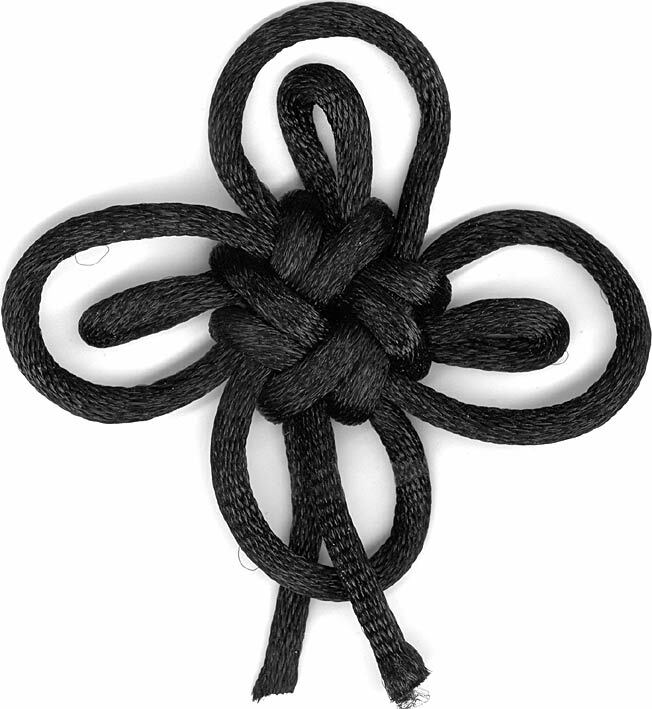 If I had thought about it before I started quick-posting this bunch of knots, I would have put this one third because it's the most basic significant variation that is interesting (I'll show you the uninteresting ones later 8). 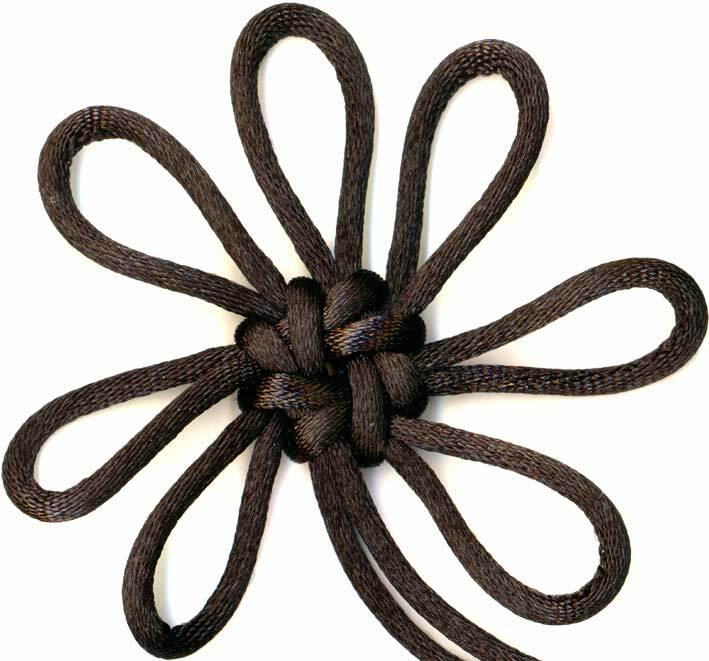 In the book as a variation, so I tied it, the 4-flower inset ears could be any knot. 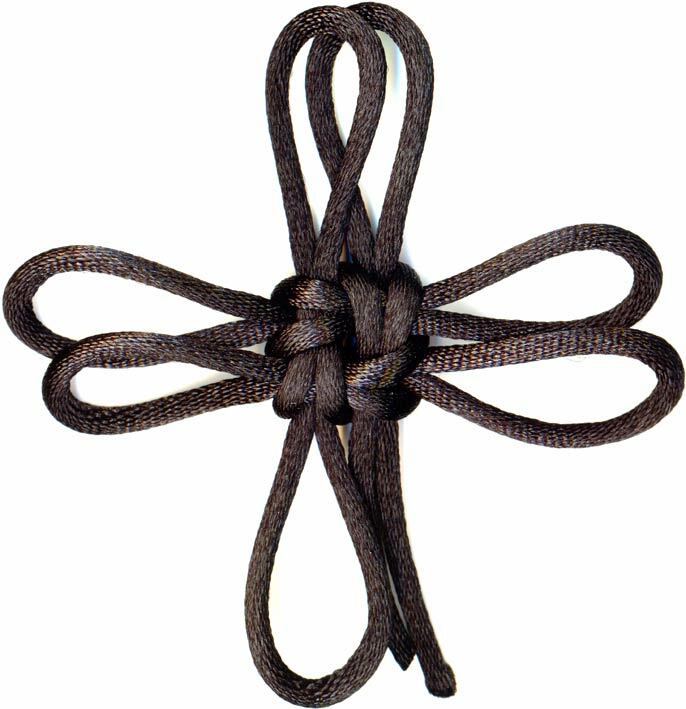 Simply tie 3 in your cord and then lay out your good luck knot with the knots at the end of the cross shape and tie as as you would the good luck with inset ear. Ms. Chen stops there, but why would you want to do that? 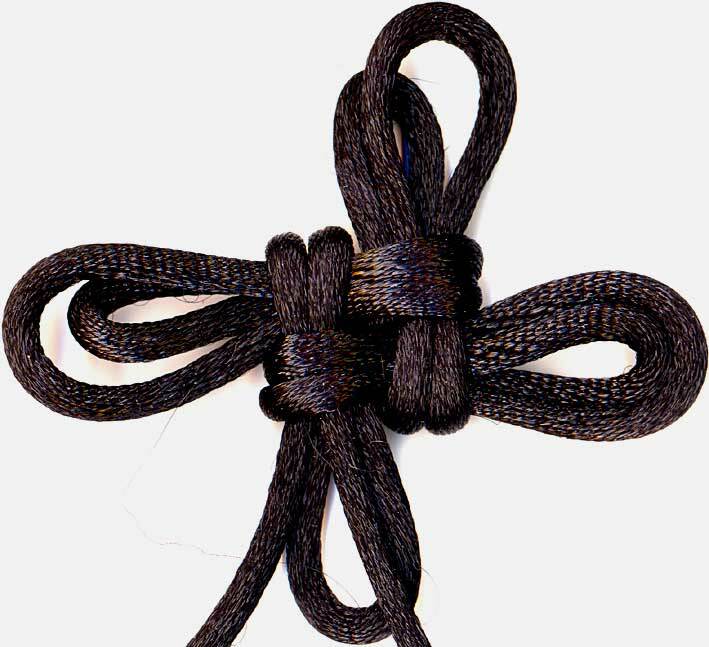 When done, your cord ends hang in the 4th side ear. 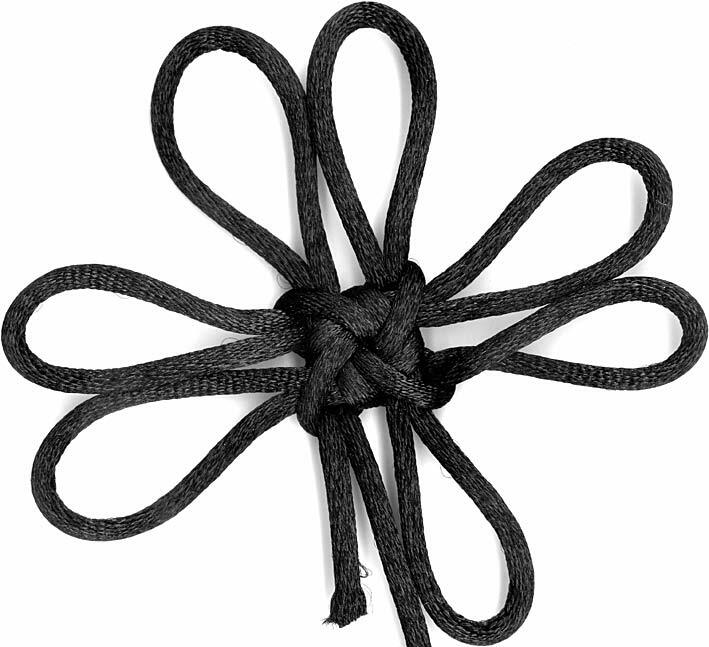 So, tie another flower (or whatever you've decided to put in your ears 8).